Are you one of the many South African who struggle to obtain a home loan or other forms of credit, due to the fact that your credit score is to low? You should know that you will not be able to fix your credit over night and that it will take some time fix. There are thus a few things which you can do in order to repair your credit so that you can obtain that much needed mortgage or car finance. In this article will I give some useful tips which you can use to repair your credit over time. • Get a copy of your credit report: The first and most important tip that I can give is to obtain a copy of your credit report. In South Africa we can get a free flash card of our credit report. You have to look if everything on there is correct, and if you find any errors, then you have to attend to them as quickly as possible. You have to know where you stand on the credit ladder in order to repair your credit. • Make use of a credit card: You have to know that there are two types of credit which are reported on your credit report. You get instalment credit and revolving credit. Instalment credit is things where you have to pay a fixed monthly fee towards the creditors. This can be things like your home loan, car finance or study loans. Revolving credit is things that you also have to pay monthly but the balance dues can change. The guys from the credit bureaus would likes to see both of these on your finances. If you cannot qualify for a normal credit card then you should consult with your bank about obtaining a secured credit card. You will then have to deposit cash into that account. This is not the same as a normal credit card but the credit guys will see it as revolving credit. • Keep your credit balances as low as possible: Credit bureaus like to see if the gap between the maximum of the card is big in conjunction with your current credit balance. I would suggest that you do not go over 30% of your maximum credit. This will definitely count in your favour on your credit report. • Apply for a small loan: It will definitely help you if you obtain a small loan and pay it back in full and on time. It will show the credit bureaus that you can be responsible when it comes to lending and it will have a positive impact on your credit score. So go and shop around and find the best possible deal for you. 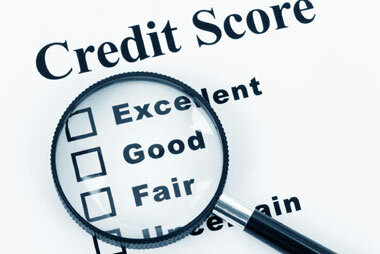 These are just a few steps which you can take to improve your credit score. I am going to say this again, you will not be able to improve your credit over night, it will rake time and patience is key. Take action today and start working on that credit.